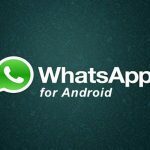 This guide will help you to download Whatsapp for Nokia just like you do on your android phones so that you can send messages to your friends using your smartphone. Messages and calls are free of cost when using Whatsapp for Nokia. Nokia is a popular brand in the world of telecom. This company is responsible for bringing out the first batch of massively popular smartphones. With the advances in technology, the world of mobile phones moved too fast for Nokia and it failed to catch up. Microsoft took over Nokia, and the news was that Nokia would disappear for once and all from the emerging market of the telecom industry. In September 2014, Microsoft introduced Nokia Lumia series. The series was an instant hit among mobile phone users who were looking for high-quality phones at an affordable cost. Nokia was ready to start again. But with the revival of the brand, did Nokia provide smartphones and their resultant features to compete with other brands? Did it introduce popular apps such as Whatsapp for Nokia users? Keep reading the article to know the answer. 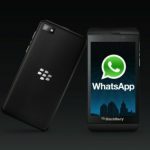 Does Nokia have Whatsapp version for its users? Nokia phones run on the Symbian platform, although new phones are now using Windows OS. Symbian is an old platform, and the concern is whether this platform will be able to provide the same services of Whatsapp as for Android or iOS? Nokia smartphones or the Nokia Lumia series use Windows Mobile operating system. It provides the same features of Whatsapp; only the installation procedure is different. That means you can use Whatsapp on all Symbian and Windows Nokia phones! With Nokia, there is no Play Store or Apple App Store for Symbian phones. Instead, you install a file that you download from the official website of Whatsapp. For Windows Phone, you may download the app from the Windows Store just the way you download apps for Android or iPhone using built-in store apps. Though there is a lot of information available on the internet on how to run Whatsapp on a Nokia phone, still people have their doubts. To have hands on experience and knowledge, read the text given below carefully. Nokia supports Whatsapp for most of their devices including Symbian OS, Android OS, and the new Windows OS phones. There are a few Nokia smartphones that run on an Android operating system like Nokia X2. This means you can easily download Whatsapp for Nokia without any hassle. The Android supported Nokia Phones, no doubt, support Whatsapp. Many of the Windows and Symbian Phones also support Whatsapp. You can also check whether your Nokia device supports Whatsapp by checking the information on the Whatsapp official website. 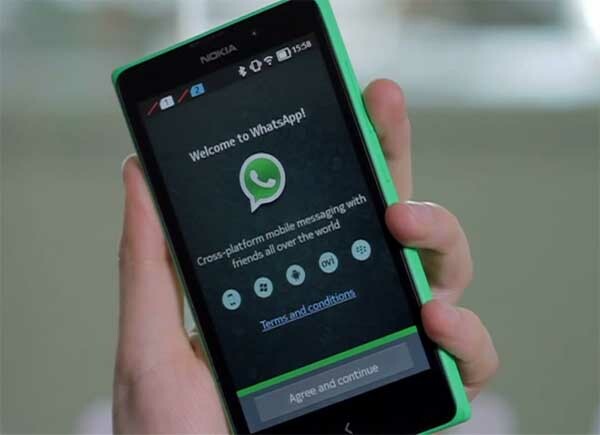 How to Download Whatsapp for Nokia Windows Phones? Go to the app store on your device. 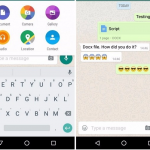 Search Whatsapp Messenger in the store. Once you find the application, go for the installation button. Now downloaded, Whatsapp Messenger will be installed automatically. Enter your phone number and wait for verification. After verification, you can use the app like on any other device. The Nokia Lumia series especially support Whatsapp Messenger. You can easily find the app on the Windows store for these series. Also, the newer Lumia phones have now resolved many associated issues.